Balls must be played at a high pace. Reverse direction after 3-4 minutes. High work rate without the ball. 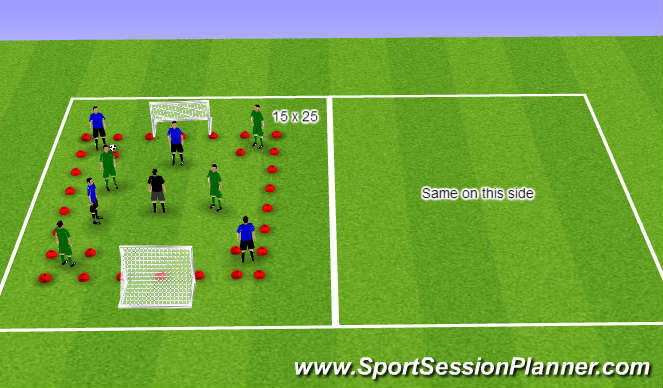 Play 2v2+1 with two targets in corners of grid. Use limited touches to keep possession to play to goal. 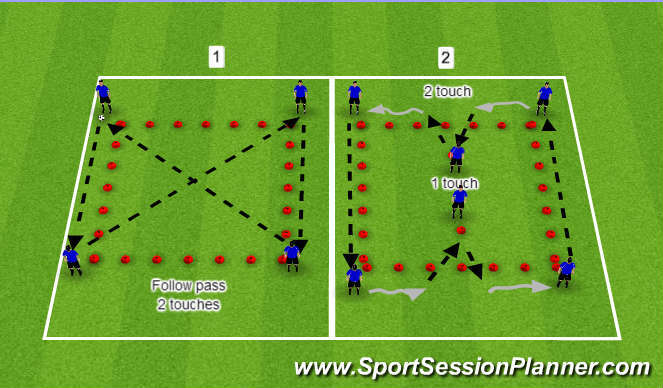 Look to unbalance defense with quick movements of the ball and coordinated movement off ball. 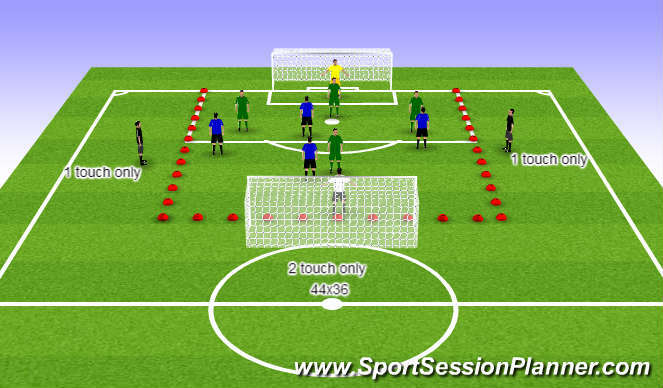 Players must change with corner targets after you play them. Play must be competitive and intense. Encourage players to keep the ball moving. Look to unbalance defense with coordinated movement and good tight passing.